UV Glow Face & Body Paint is one of the most recognizable products in the industry. 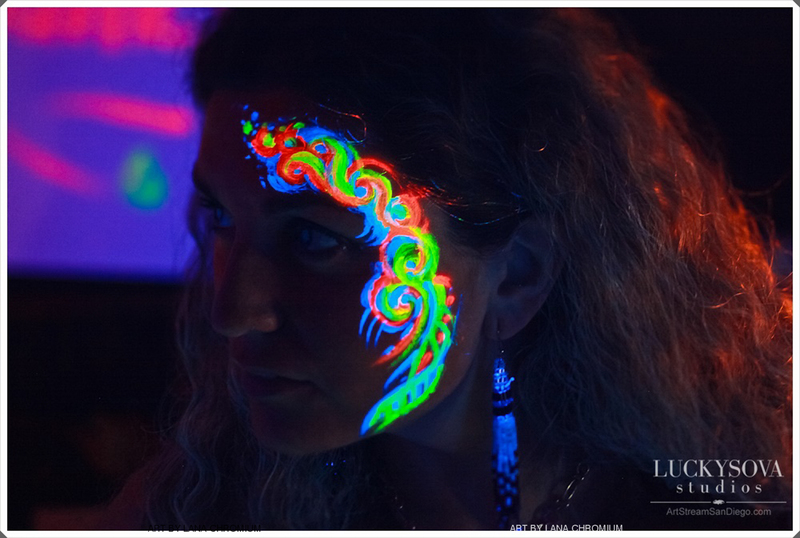 birthday parties, museum receptions ( after hours parties ), Glowing Zoo. 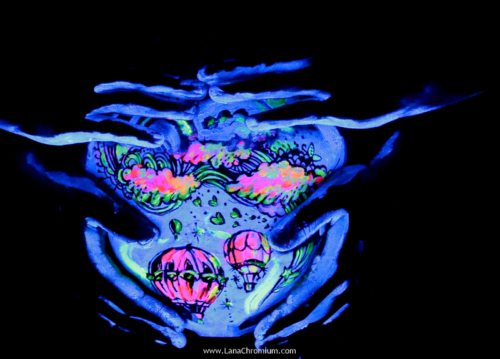 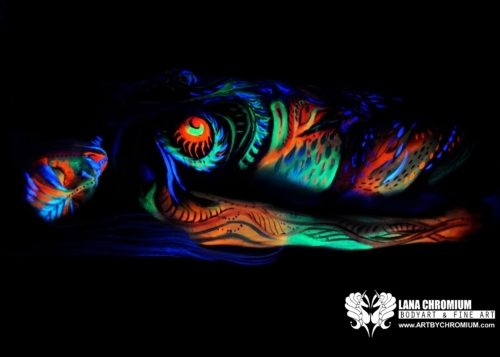 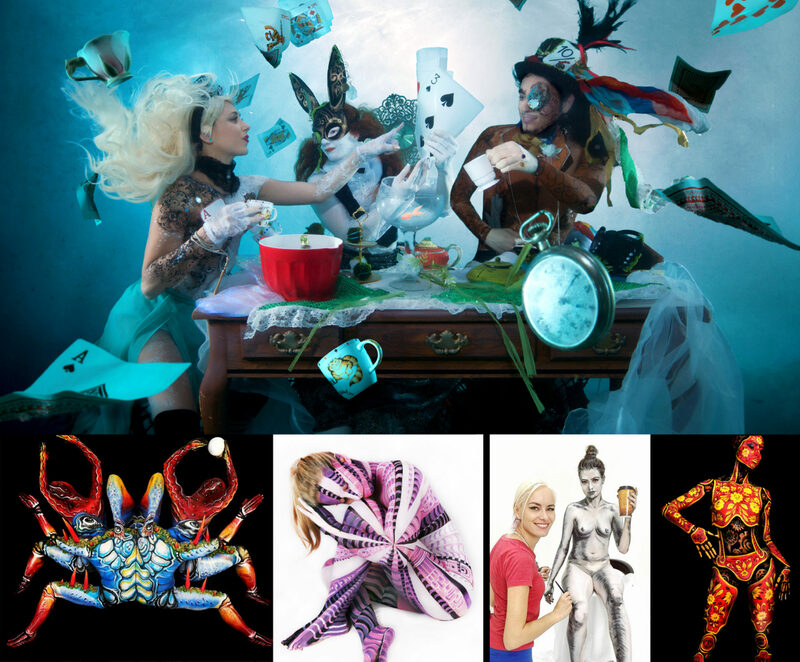 UV bodypaint usually comes in 6 main colors: pink, orange, blue, purple, green, yellow. dry quickly on the skin and last all night. 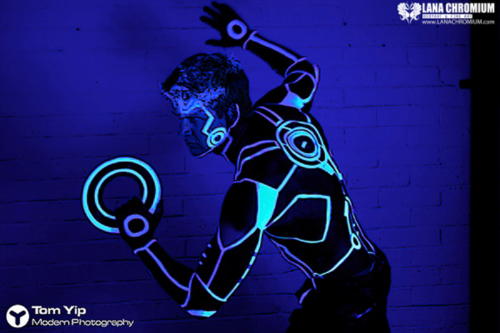 Taking off bodypaint: Simply wash off with water & soap after photoshoot / event.